Domestic cattle have been present in the New World for 500 years, and have been an important component of California’s economic and social fabric since the establishment of the first Spanish mission in San Diego in the early 1700’s. By 1834, California’s missions operated a herd of beef cattle estimated at 400,000 head. Under Mexican rule, large “ranchos” were established, and cattle hides and tallow fueled the state’s economy. The Gold Rush during the 1800’s brought hundreds of thousands of new citizens to the state, as well as new demand for beef. Many of today’s ranches were established prior to or just following the discovery of gold at Sutter’s Mill in 1848. Today, California’s ranching families are as diverse as any in the world. Ranchers manage approximately 38 million acres of privately and publicly owned rangelands. Most California ranches are family owned and operated, and many have been in the same family for four or more generations. Regional and operational factors, as well as cattle breed, nutritional requirements, reproductive status and behavioral characteristics influence beef cattle production in California. California’s geographical diversity, along with its climatic and environmental variability, has resulted in the state’s highly complex livestock production industry. California has more than 100 million acres of land, 38 million of which are range and pasture lands. Of these 38 million acres, approximately half are owned by the federal government. California’s rangelands are classified as Mediterranean, desert, and intermountain, and are among the most productive in the West. California’s predominant range type is Mediterranean annual rangelands, which encompass all of the Central Valley, as well as the coastal and foothill ranges. Annual forage production in these regions is seasonal, but grazing of green or dry forage occurs year round. The Mediterranean grasslands of the North Coast, because of the region’s moderate climate and increased rainfall, produce forage for a longer period. The state’s desert rangelands are located primarily in the southeastern region of California. A mixture of annual vegetation, perennial grasses and shrubs provide forage for domestic livestock and many species of wildlife. 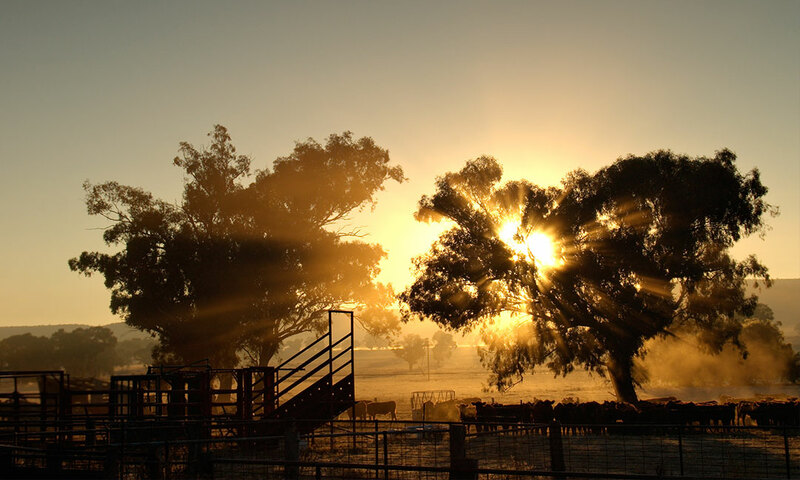 Winter and spring rains support annual plant growth; however, rainfall can be erratic and shrubs provide feed for livestock during dryer periods. Intermountain rangelands are located in the northern and eastern regions of the state. Winter dormancy and spring-summer growth dictate livestock management systems vastly different than in other regions of the state. Cattle typically graze lower elevation forage in the spring, and are then moved to higher elevation pastures during the summer months. Ranchers in the intermountain areas generally harvest and store forage during the summer for winter feeding. During the fall, cattle may graze crop residue, residual rangeland, or pasture forage. Cattle may be fed hay or transported out of the region during the winter months.